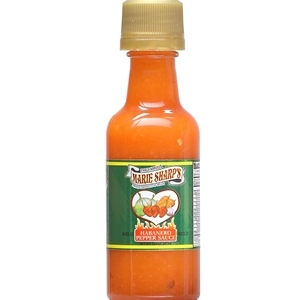 Marie Sharp's Mild Habanero Hot Sauce 1.59 oz. Hot Sauce → Mild → Marie Sharp's Mild Habanero Hot Sauce 1.69 oz. Marie Sharp's Mild Habanero Hot Sauce is a unique carrot-based blend with key lime juice that achieves the perfect balance between flavor and heat.